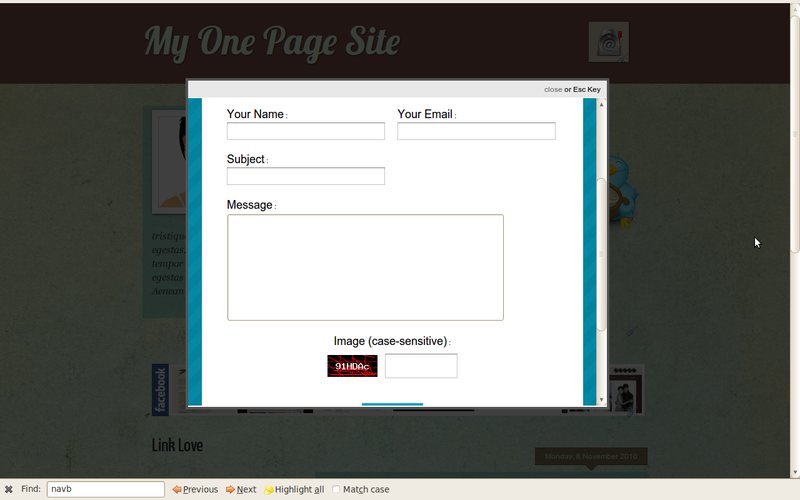 At present, Blogger does not offer the means to integrate a contact form natively in our blogs. Since we cannot (easily) use PHP in our Blogger templates, the ideal solution is to use an external service to generate a contact form. 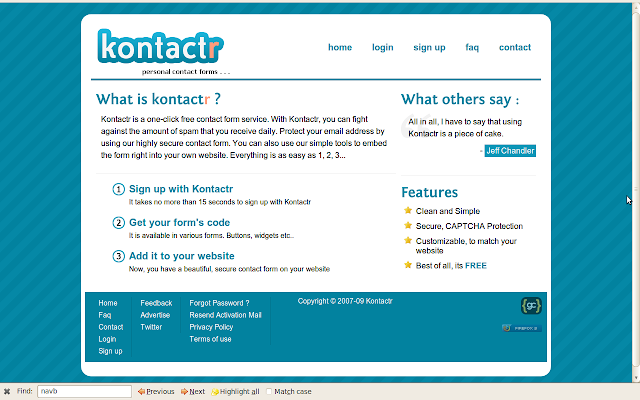 My preferred service for simple contact forms is Kontactr - I've been using Kontactr for several years now, and have found this to be both reliable and easy to implement. Make a note of the URL for your contact form - we'll need to add this to our HTML gadget shortly. We will be using Thickbox to generate the functionality for our lightbox-style contact form. Unlike the original Lightbox script, Thickbox enables us to embed rich content in our display. We'll be embedding our contact form within an iframe using this functionality. Save your gadget and preview your blog. You should now see a simple text link in your layout which, when clicked, brings up a lightbox-style contact form in which your Kontactr email form is embedded! 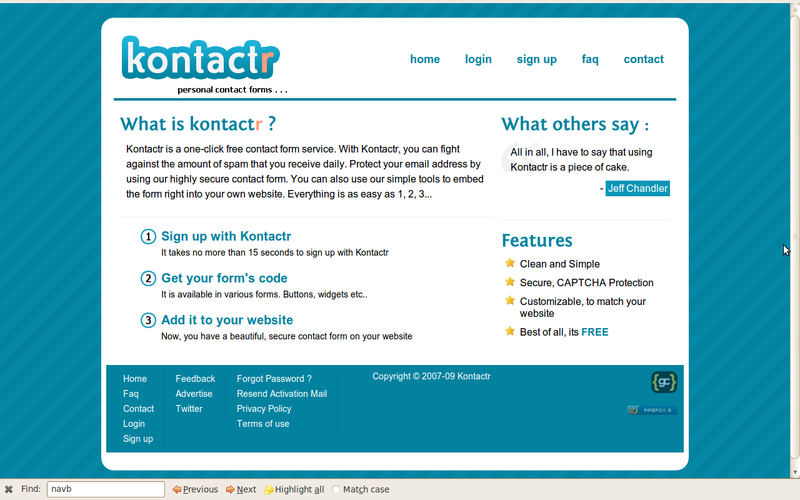 To demonstrate this method, I chose to use Kontactr for embedding a simple free contact form. However, we can use this method to display an alternative contact form (or indeed any other webpage) in your site. Simply replace URL-OF-YOUR-KONTACTR-FORM with the URL of the page you would like to display. This technique could also be used to display large images by using the URL of a hosted image. The scripts required to operate the Thickbox function are reliably hosted on Google Code. If you prefer to host these scripts yourself (or perhaps build upon them), you can download the scripts I have used from the official ThickBox page. I hope you find this post useful in creating your own lightbox-style contact form for your Blogger blog. Please feel free to leave your comments below.